My wife and I are (semi) local to WDW and used to go to the parks regularly when we were APs a few years ago. During that time we also used to make trips to the hotels to dine at some of the signature restaurants as we really enjoyed the overall experience of strolling around the hotel grounds in addition to a very good meal. But now, with the DDP being used so frequently, some restaurants being turned into character dining (Artist Point), and more hotels being added and with the parks being so busy, I was just curious if the remaining signature restaurants at the resorts have maintained their high quality or if they too have lost a little of what made them so good. Specifically, I'm looking to treat my wife and I to a romantic dinner at Flying Fish, which we haven't been to since the interior change. While reading reviews on sites like TA and Yelp are useful, I'm really looking to locals or more regulars who have been continuing to go for years who can give some insight on how good FF is or isn't, and how the sig. restaurants at the resorts are in general these days. I will say that back when we went to FF when it still had the boardwalk/carnival décor, we found the food to be not nearly as good as the other sig. restaurants at the time, but hopefully with the décor and menu change it more lives up to the sig. quality food-wise. Would love to hear and appreciate any thoughts on this. Food has gone downhill big time because of the DDP... Zero question. I will never go to yaughtsman steakhouse again... I like the old Flying Fish better than the new one.... Go to Capa at the Four seasons lightyears better. I'd second the comment about Capa. If you are looking for something that is a real treat, you can't go wrong there. Also consider some excellent options at Disney Springs - Morimoto Asia, Wolfgang Puck Bar and Grill, Homecomin', Paddlefish, Frontera etc. 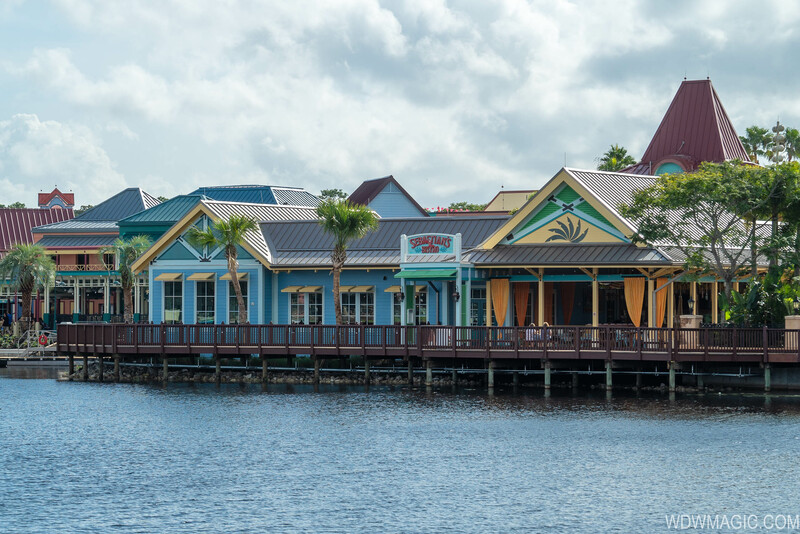 We have done some of the restaurants mentioned at Disney Springs and really enjoyed them. I think we were just looking into FF since we hadn't been since the re-model and wanted something a little more upscale interior-wise, but might look into Capa now as a 2nd possibility. I'd agree with previous posters that overall, quality of food and service has declined noticeably at the signature restaurants, with that moniker really meaning very little anymore save ~$100/person. That said, consistency seems to be a major contributing factor as Disney moves chefs from one location to another. Flying Fish for us has been one of the brighter shining stars over the past year, while Yachtsman disappointed terribly last month. Don't even talk to me about Le Cellier, which I found absolutely horrid last summer. IMO, Disney's fine dining no longer can compare to what may be found within 10 minutes' drive time. On one hand I'm glad I checked in here because I'm getting the exact sort of insight I was hoping to receive. On the other hand I'm sad to see posters confirming what I feared about the sigs doing downhill. We had so enjoyed the nice-yet-casual atmosphere and (at that time) very high-quality food. It would be one thing to plop down the kind of money for these meals for places that are consistently good, but so many now sound "iffy" that makes the idea of paying for a meal out of pocket w/o a DDP just not worth the risk when there are other reliable places to dine at for this price-range (not to mention it was also a drive for us to get there as well). Thanks again for the input and would love to keep hearing more opinions. In my (limited) signature dining experience, Jiko seems to be the one where guests are best behaved, dressed appropriately, etc. It helps that Animal Kingdom Lodge isn't directly connected to a theme park so people who are eating there are intentionally visiting for the meal, not just popping over from Magic Kingdom / Epcot. Don't get me started on the basketball shorts and flip flops at California Grill. Let me join the chorus and agree with the way guests have helped ruin the fine dining experience. With that in mind, maybe Disney is just doing good business, and giving their changing demographic exactly what they want -Golden Corral ambiance and high fat, high salt, food in place of a well conceived and executed menu. Also check out Bull and Bear at the Waldorf Astoria, and Normans at the Ritz Carlton. Mod--thanks for that suggestion...will definitely keep it in mind. Budget not really an issue as this was a splurge meal for a special night out with good food in a nice atmosphere. I was wanting a great steak but my wife is a pescatarian (only eats seafood). The sig restaurants nearly always guaranteed a good option for both of us, which is one other reason we liked them (and why I thought she would love the seafood at Flying Fish). The one negative with some meat-heavy restaurants is that they only offer 1 (at most 2) seafood dishes, but I wanted her to have a few more options this time. Doesn't look like we'll make it to WDW this particular time based on feedback here...will likely end up at a few places on either Restaurant Row or elsewhere where we've had more recent, reliable experiences. Still, all of the comments and advice were all interesting to read and appreciated! Let us know where you end up and how it goes. Have a great night out! I cannot comment on Flying Fish (I think I was there once, a long time ago). However, I can comment, and support, the general tone of this tread. Signature dining, and dining in general, at WDW has gone downhill over the last decade or so (maybe not quite a decade, but definitely at least over the last 7). There are the occasional places the buck the trend, but for the most part, WDW has become a homogenization of menus that all drive to the same food cost point. The atmosphere in the signature restaurants has also plummeted. It's too bad that people have had bad experiences at the California Grill. It remains my favorite restaurant anywhere, for its atmosphere, service and incredible food. I know my friend Hockey89 doesn't agree, but I've come to realize that he's brain damaged, so it's much easier to discount his opinion!